You’re gonna like this one. No… you’re gonna LOVE this one. Vintage LED piece in original box. OMG! As the kids say. 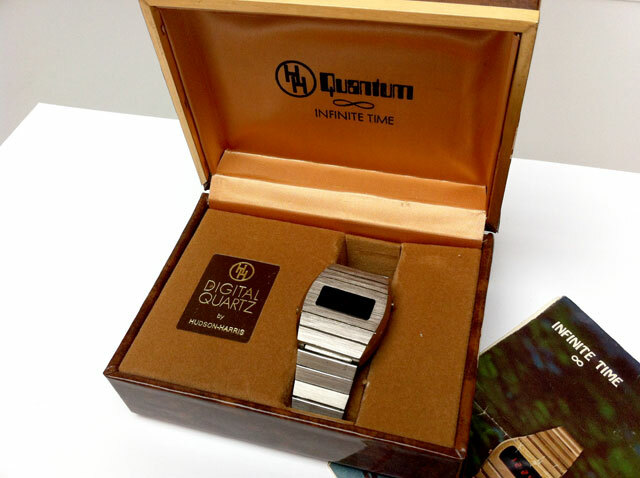 This watch is just brilliant… retro gold, pin-sharp LED display, original box, paperwork… the works. This is a NOS watch (new old stock) Commodore LED watch, and it’s in mint condition. This is the steel strapped Commodore LED watch version. This is a NOS watch (new old stock) Commodore LED watch, and it’s in mint condition. This is the steel strapped version. Here’s another classy LED watch from Novus. This is one of my favourites – I love this classy style. Here we have the piece de resistance of the Novus selection. In my opinion anyway, you might like an another one better. I like this watch because of it’s flat shape and unusual strap. 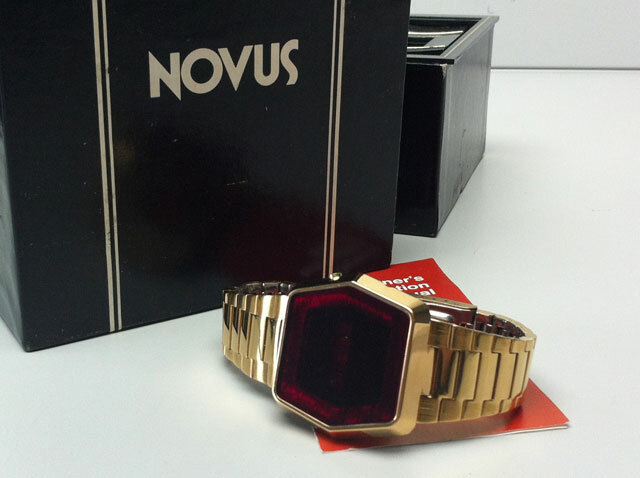 Feast your eyes on this highly saught after Novus LED watch. Well…this is gorgeous. You can see that from the photos. A really unique shape of watch, which measures up at 34x42x10mm. This is a NOS watch (new old stock) and it’s in mint condition. It has an amazing chunky black strap, looks fantastic on the wrist, and is by Commodore – a fantastic brand with a great, retro logo! If you like the Novus range then you should be a fan of this Exelar piece. This is a pre-owned Compu Chron LED watch from the 1970’s. This watch is rare and is in good condition. It’s cheap because there is some scratching on the red face of the watch. 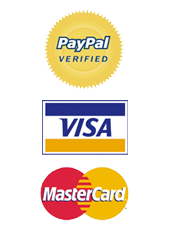 This doesn’t detract from the watches charm significantly, and the watch keeps great time and runs well.